I read this book for a uni course, so that was a little while ago, but I remember how hard it was to concentrate on the text. The only very vivid scene left in my mind is that from a food table (not sure if they were having dinner, but likely) and a very long and detailed description of pot of stew :) I want to read Mrs Dalloway some time soon-ish. Woolf has never ever disappointed. I recently reread Mrs Dalloway and what a joy to read it a second time. I really feel I understood it better and appreciated it even more. 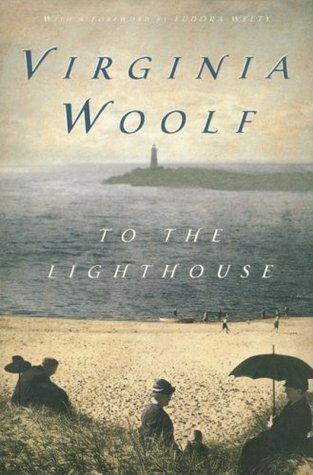 I haven't read To the Lighthouse but Woolf is on my to read list, once I get through the books I already have cluttering my life. I remember starting "To the lighthouse" over and over again. The words are beautiful but I'm just not a fan of the stream of consciounsness manner. I like "Mrs. Dalloway" better though. Still, I appreciate Mrs. Woolfs essays much more than her novels. Have you ever read one? They are brilliant. I'm glad to read someone a bit on the fence, as I am. I didn't hate To The Lighthouse, but I will probably never re-read it. As the above reader, I am not a fan or stream of consciousness, but Woolf does create some marvelous descriptive prose.